Over two weekends, 160+ people participated in nine Big Days of Serving projects. We participated in Arlington Heights annual paint-a-thon. Our group helped one homeowner by power-washing the house, stripping and painting the trim, plus doing a lot of yardwork, removing brush and trimming bushes. 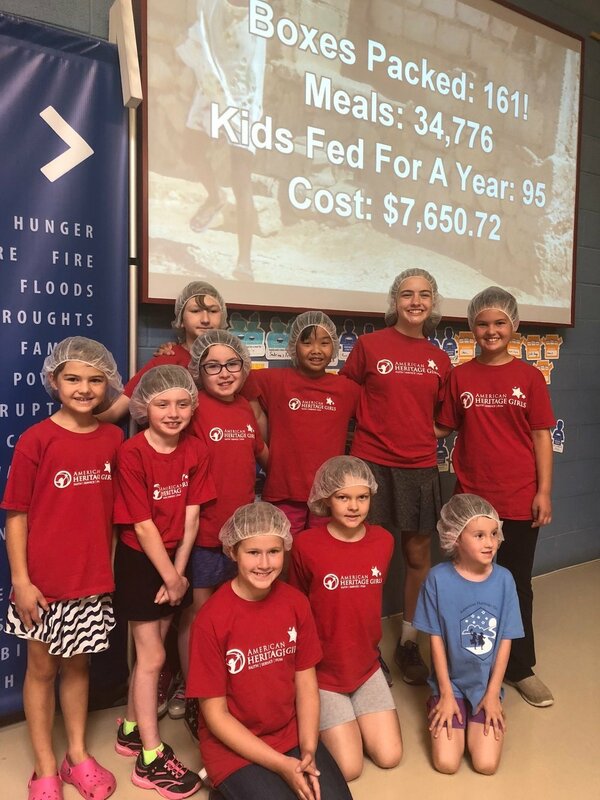 Our American Heritage Girls group invited us to join them at the Feed My Starving Children location in Schaumberg to pack meals for hungry children overseas. At least 10 children will get new, handmade hats and scarves, thanks to this group of workers. One group restocked the backs of our pews with pens, envelopes, etc. We made fleece blankets with hand-tied fringe, and gathered gift cards, to give to families affected by the recent apartment house fire in Prospect Heights. This hardy group spent a morning spreading 80 yards of mulch in the many, many tree and flower beds around our property.